Including work from home jobs for mums, work from home entry jobs and admin work from home. 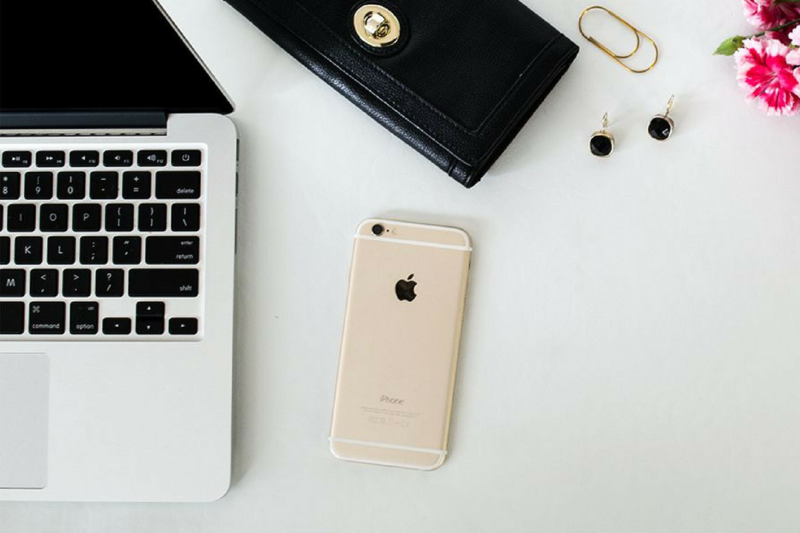 There are lots of ways to earn money as a mum, regardless of if you’re looking to supplement your existing income or looking to start bringing money in after maternity leave. And no, we aren’t talking about small change here, these are real home based jobs for mums. With the UK currently not showing any signs of following the Scandinavian countries in their approach to flexible working, many of us working mums have to turn away from traditional employment and find jobs working from home. No matter your skill, there will be a home based job for you; you just need to go out and find them. Have a look at my 101 Genuine Work From Home Jobs in the UK post for more home based work inspiration. Many stay at home mums fear being scammed while working mums don’t want the hassle of declaring their extra income to HMRC. But if you’re willing to jump through a few hoops and do a bit of research, then home based working can be amazing and fit around your family. Please don’t let fear put you off! 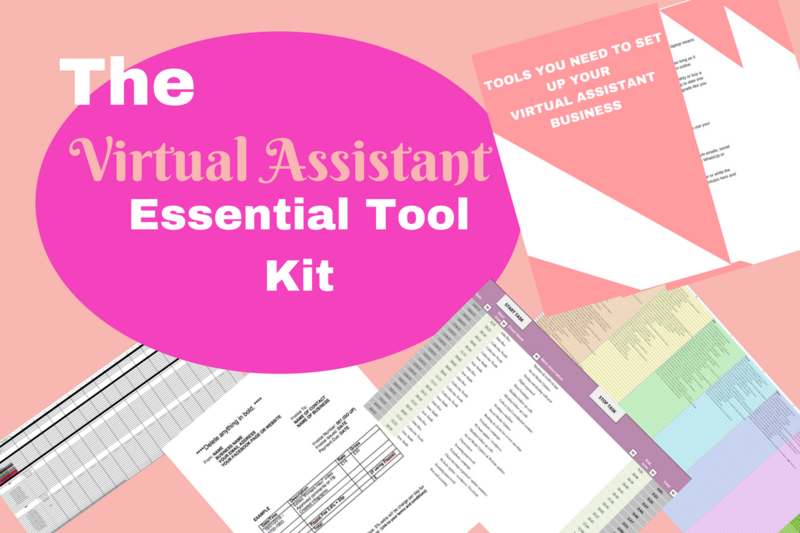 If you like the sound of home based working but are unsure how to keep track of your time or even how to invoice, then have a look at The Virtual Assistant Essential Tool Kit. This is the ultimate spreadsheet pack for your home based role. You don’t have to be a Virtual Assistant, any data entry, social media or admin based role would work. This has been made for mums who have never worked in a data entry role before but who would like to start working from home. Take the plunge and watch how you spend less time invoicing and more time getting clients. 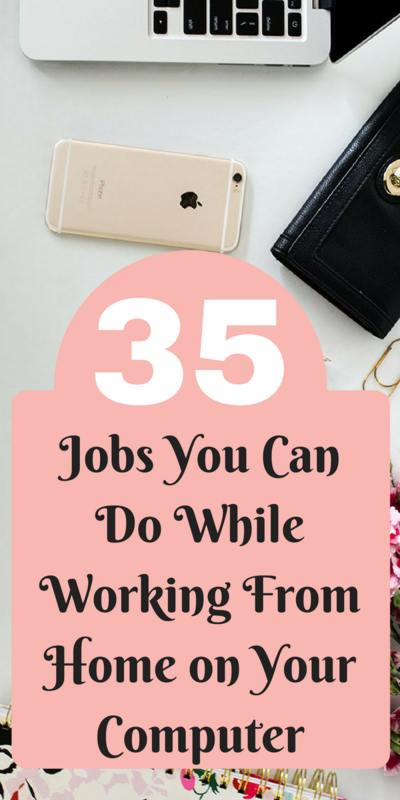 So if you have always wanted to have a home based job but are unsure on what you can do, then here are 35 jobs you can do while working from home on your computer. These are all legit and can be done anytime night or day. Completely home based, selling your own products can be very profitable, especially if you source your products from overseas. It does take a bit more work than a bricks store, but without the overheads, you can receive a more higher profit. Start by researching the products you want to buy and see if there is a market for it. Think about where you will store the items and how much will it cost to ship them. Reselling on sites like eBay or Facebay is becoming more popular. You can start by just selling your kids outgrown clothes or toys then start buying products in to sell. You can search your products cheaply from car boot sales, charity shops and auctions. It’s best best to start by looking at the marketplace sites and seeing what sales for what. What fees could there be to ship the item? Is the profit worth it? There’s so much you can do if you are a photographer. You can either sell your photos online with a licensing agreement or show your services. Both make good money, but the first one can make you passive income while the second you will need to actively find clients. If you’re creative, then sites like Etsy are for you. They focus on everything handmade and it’s very easy to set up and get started. Registering as a childminder is a great work from home entry job that anyone can do. You can look after your own kids while looking after others, all from your own home. The downside is that there is a lot of admin and after hours work needed, but it does mean that you can work for yourself and pick your own days and hours. Ok, so not at home all the time, but you can take the kids with you and earn anything from £6-£10 an hour. You can start by registering your self as a dog walking company at Nards. This is a great way to work from home as a mum around the kids and still make money. You can advertise via Facebook and by just telling your family and spreading the word. Tutoring is a great work from home job for mums who want to supplement their income part time. Again, this can be quite open but you could look for jobs that involve pay-per-click advertising or brand development. All calls can be done over Skype and the role is so big, that there is scope to go anyway you like. If you have the head for numbers, then trading stocks at home is for you. Your job would be to buy and sell financial products like stocks and shares in order to get the best rewards for your clients, whether they’re individual people or huge corporations. Experience in a similar financial capacity works if you need to enter at entry-level. You can also start trading with just a small amount of your money, to show people what you can do. If you would like to know how to start, then I’d suggest having a look at Dr Nikki Ramskill’s course, The Beginner’s Guide To Investing. Taking part in focus groups is a great way to make extra money. Focus groups allow companies to get an idea about how their potential customers will react to their new product or service and make any changes before it is released. In order to get your valuable feedback, they will pay for your time. You can also complete focus groups online, so you can earn money from the comfort of your own home. 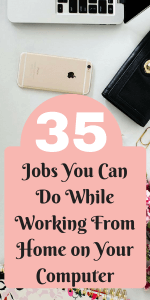 If you’re just looking for a bit of extra money that you can do on the go, then this list is for you. This applies to anything to do with your home really. Just Park is a good site if you fancy letting out your drive. If you live near a train station, hospital or a city center, then you’re sure to earn a bob or two a month. If you’re doing it correctly, you will never loose any money, but you do need to take your time and be really careful to avoid any mistakes. Using a company like Profit Accumulator means that you don’t have to work out the odds or be worried that you’re doing it all wrong. Make sure you understand fully before you deposit any money. Follow our guide here to make your first £20 matched bet. A handy little earner that you can do on your laptop while watching TV. You won’t necessarily make bundles of cash, but for just 20 minutes or so work, you could make a few pounds. Weirdly, not many of us use cashback sites, which is strange, as you can earn money back from just buying your normal day to day items. From grocery shopping to insurance to household bills! Search for what you need and buy it through a cashback site and you’ll get back a percentage of what you spend. I currently use Top Cashback*, but there are loads out there just as good. Nope, this isn’t a joke! It’s really easy, legal, and the bank do everything, so you don’t have too. You can read more about earning money by switching your bank account here. It goes without saying but you can get some pretty neat stuff through entering competitions. I’ve been lucky enough to win event tickets, hampers and a weekend away for two in a five-star hotel! Think about it this way, there are so many online competitions out there that many people just glaze over. The more people that ignore them, the more chance you have of winning. They are so easy to enter and normally all you have to do is give a quick like or comment on social media or type in your email address. I do so many now that I have a separate Gmail account for just competition entries! The easiest place to find them all is on Money Saving Expert, where many Compers have already sniffed them out and posted them online. Win! 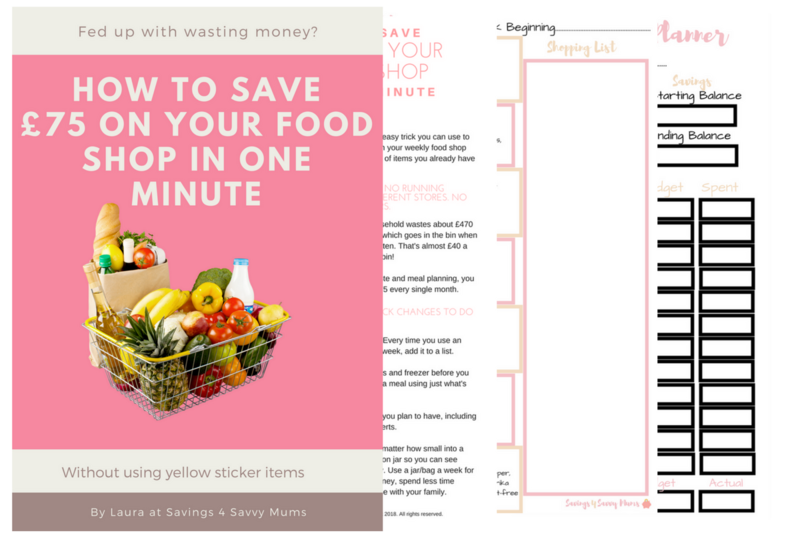 Like talking to other mums who like making and saving money? 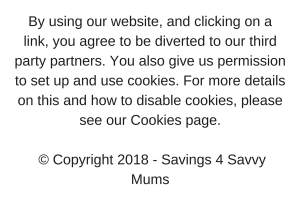 Then come join my Facebook group, Money Saving Mums, a community for mums who want to save their family money. I really hope these tips help you to find a work from home opportunity that suits your lifestyle and your needs.